To raise awareness and increase understanding of mental illness, the Society for Contemporary Craft is organizing Mindful: Exploring Mental Health through Art (September 18, 2015-March 12, 2016). With an emphasis on anxiety, depression, suicide ideation, and PTSD, the exhibition will provide a forum for artists to share their powerful artistic responses to a growing public health concern. Artists with work focusing on this , who would like to be considered, should electronically submit 6 images (300 dpi or larger) with descriptions, CV, and support materials by 2/1/15. The description for each image must include: artist’s name, title of work, date of completion, medium, size (height x width x depth). 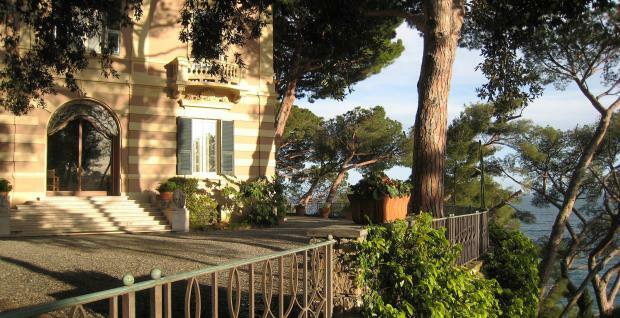 The Bogliasco Foundation’s Study Center provides residential fellowships for qualified persons working on advanced creative or scholarly projects in the arts and humanities. The Study Center is one of the few residential institutions in the world dedicated exclusively to all of the humanistic disciplines: Archaeology, Architecture/Landscape Architecture, Classics, Dance, Film/Video, History, Literature, Music, Philosophy, Theater, and the Visual Arts. Since the Study Center was founded in 1996, it has hosted more than 750 fellows from 50 countries. Call for Entries! Plein Air Festival! 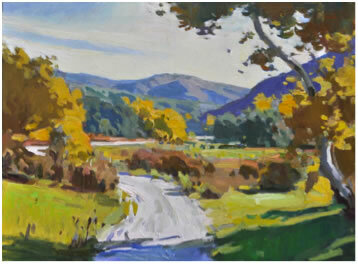 The 9th Annual Wayne Plein Air Festival is currently accepting entries. This year’s juror, Ray Roberts, will select 30 artists to compete in the festival from May 12-16 in Wayne, PA and its historical and pastoral surroundings. There is $10,000 in prize awards. The opening reception will be on Saturday, May 16. Paintings will remain on display and for sale through June 27th. Applications must be submitted online only between January 1 and March 1, 2015. 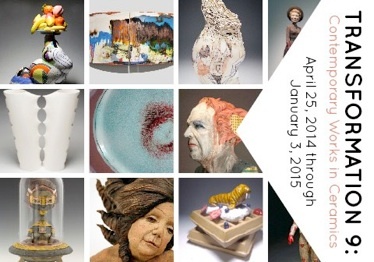 For more information call 610-688-3553 or email patti@wayneart.org. 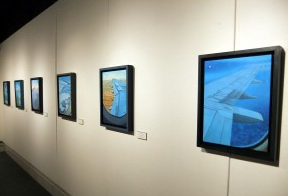 Miller Gallery along with Fisher Gallery are a part of Otterbein University‘s art department where annual exhibitions are hosted to introduce the University to the diversity of art. Graduating art majors exhibit their works here during spring quarters. Many of the exhibitors also host workshops and lectures along with their works. Located at 33 Collegeview, Westerville, OH 43081. Exhibition dates: January 12 – February 6. 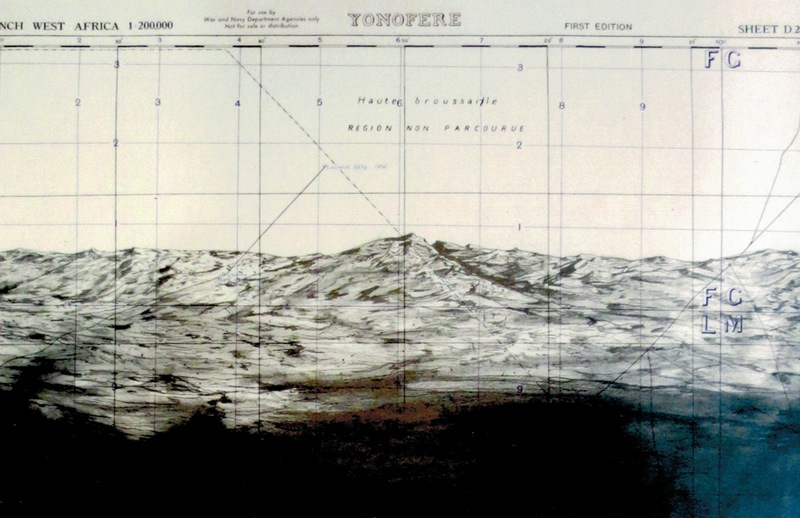 O’Neil creates fictional and altered maps that guide and vary the viewer’s certainty and focus. Call for Applications! 2015 Arts Scholarship Program! The Anthony Quinn Foundation is accepting applications for its 2015 Scholarship Program, an annual program that aims to perpetuate the legendary actor/artist’s vision for an art-conscious society. Through the program, the foundation supports high school students’ extracurricular study of the visual arts and design, performing arts, media arts, and literary arts. Scholarship amounts range from $1000 to $3000. Scholarships may be used for a recognized pre-college, summer, or after school arts education program, but may not be used for either secondary school or college tuition. To be eligible, applicants must be young adults in high school who demonstrate exceptional talent, dedication, and a strong commitment to personal artistic growth, and who will benefit from financial support. Women’s Works 28th Anniversary National Fine Art Show by the non profit Area Arts Council needs your art. This exhibition celebrates the creativity of women all over the world. There will be $1,000 in awards for first, second, and third place along with merit and gallery choice awards. Deadline for entry is January 18th, 2015. To enter click the following link and register for a free CallForEntry.org account. This account will also give you access to hundreds of more call for entries in your area. 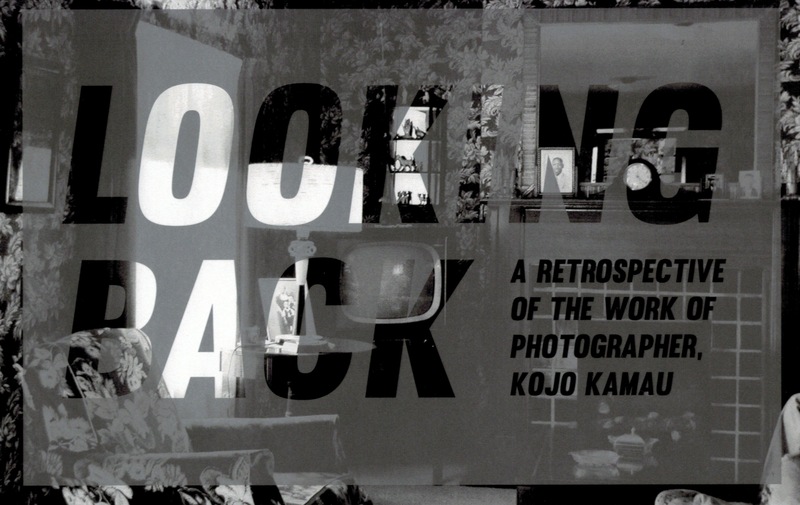 This exhibition dates: March 12 – April 24, 2015. At the Historic Old Court House Arts Center, 101 N. Johnson St., Woodstock, IL 60098. You can view last years show here. The Arts Council of Indianapolis seeks to establish a new pool of highly qualified artists and artist teams for a number of open calls and commissioning opportunities for outdoor murals (wall-based artwork) over the next several years. Artists who qualify will be eligible for selection for mural projects with budgets up to $100,000. Budgets are inclusive of design, travel, artists’ fees, materials, labor, rentals, insurance coverage, subcontracts, and all other costs associated with the design and production of mural artwork. 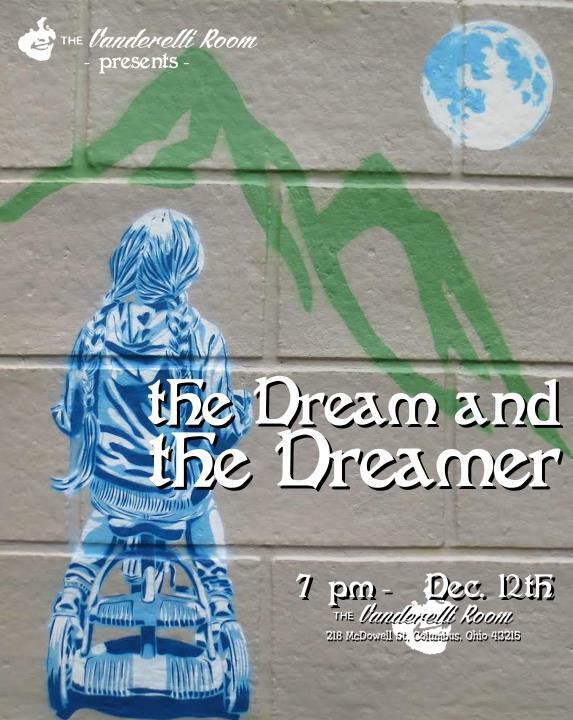 Please join us for the closing reception for the Dream and the Dreamer…. here is your last opportunity to spend time with all these works together in one gigantic space! Meet and talk with the artists while listening to music from Doctor Umbrella! I look forward to seeing you all here! We are all dreamers living and expressing a dream. We as artists aspire to reach beyond the tangible, and whether it is the chaos or the beauty which inspires, we have the ability to present to the world how we move through this life. There is a quality in The Dreamer that enables him or her to look beyond the day-to-day and into the dream. Living The Dream is the The Dreamer. There is an unrest within The Dreamer. And in this unrest is where one will discover his or her expressive reaction to The Dream. Eckhart Tolle says, “When we are awake within the dream, the ego created earth drama comes to an end and a more benign and wondrous dream arises”. We would like to congratulate OAL artists Cyrus Fire, Stephanie Rond, Amy Leibrand, Ralph Corriveau, Cody Heichel, Lisa Mclymont, and Jay Moffett for being apart of this exhibition along with artists: Rob Jones, Angela Jann, Catherine Bell Smith, Becca Lynn, Michael Halliday, Tom Kelly, Michael Bush, Andrew Lundberg, Just Jerry, Ric Stewart, Amandda Tirey, Cyndi Bellerose, Christopher Tennant, W. Ralph Walters, Lou McAfee, Christin Hutchinson and Albert Gray.